The two most common types of arthritis are osteoarthritis and rheumatoid arthritis. The bad news is that both types of arthritis cause pain, inflammation and discomfort in the joints. 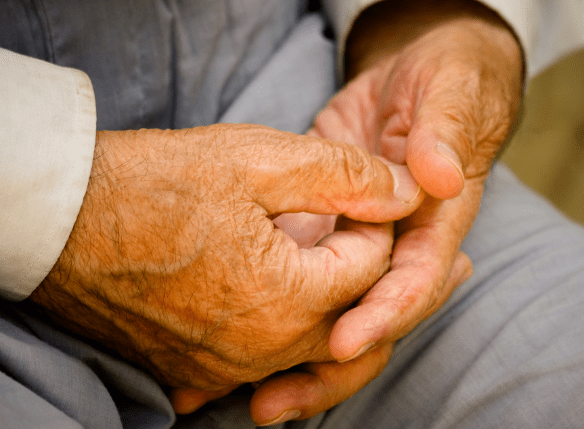 The good news is that a lot of research is being done into treating and preventing arthritis, and there are a number of natural remedies available today that have been found to ease the symptoms of arthritis. Devil’s claw gets its name from the little hooks that cover its fruit, as they look a bit like claws. Several studies have found that devil’s claw reduces pain and inflammation in arthritis patients, but more research needs to be done to see whether the plant can help everyone who takes it. The general findings are that taking devil’s claw for 8-12 weeks reduces pain in people with osteoarthritis and also increases joint flexibility. It may also relieve joint pain and arthritic pain in the spine, hip, and knee. This remedy is therefore easy to get hold of and is stocked by most stores that sell herbal or natural supplements. As with all natural remedies, consult your doctor first to make sure you can take devil’s claw, as it can interact with some prescribed medications. Turmeric has been used for many centuries in Ayurvedic culture, in cooking and as a medicine for treating inflammatory disorders including arthritis. A study found that turmeric was useful for preventing arthritis, but there’s some debate about whether the turmeric extracts that are available to buy actually contain the active ingredients needed to help arthritis patients. If you can’t find a reputable source, opt for using more turmeric in your cooking instead, and increase the amount you consume slowly over time. I’ve talked about the benefits of treating gout with ginger before, but ginger is also great for other inflammatory conditions such as arthritis. A study found a reduction in knee pain in patients with osteoarthritis of the knee after the participants took ginger extract for 6 weeks. However, they also had a side effect of more gastrointestinal (GI) problems than the placebo group in the study, so it’s best to avoid this remedy if you suffer from stomach problems or GI complaints already. Ginger is best used to treat arthritis of the knee, but there’s no harm in increasing how much you consume as a potential preventative measure as well. Either take a highly purified and standardized ginger extract for treatment, or for prevention I recommend adding more to your cooking and drinking herbal teas brewed using ginger root. I also recommend these useful tips for growing and using ginger at home. A study found that Boswellia serrata Extract (BSE) helped to decrease pain in patients with osteoarthritis of the knee, increased their knee flexibility and increased their ability to walk. Swelling around the affected joints was also reduced. Unfortunately it’s not that easy to get hold of this remedy, but if you do manage to get hold of Boswellia extract make sure it’s from a well-known and safe supplier. Rosehip is the fruit of the rose plant and it grows wild in many parts of the world. Rosehips are high in vitamin C and can be eaten raw or made into jams, jellies, syrups, soups and drinks. Research found that rosehip powder improved hip flexibility in patients with osteoarthritis of the hips, and reduced the pain that went with it after 3 months of use. Rosehip more impact on osteoarthritis patients and less on patients with rheumatoid arthritis. Although it is not one of the most effective natural remedies for treating arthritis, rosehip extract may be the easiest remedy for you to get hold of and use, as it is available to buy in capsules, tablets and as an oil that can be rubbed into your skin. The studies used 5g of rosehip a day, so you will want to build up to using a similar dose, but I also highly recommend making your own jellies and syrup out of foraged rosehips as well, as it has a mild fruity flavour and is such a good source of vitamin C.
It has been thought for a while that consuming more omega-3 fatty acids can be good for inflammatory arthritis, and now researchers think they understand why this is, but there’s still a lot of confusion about the best way to increase fatty acid intake. This is because omega-3 polyunsaturated fatty acids come in two forms, known as EPA and DHA, and large amounts of omega-3 are needed for the best effects. Many people choose concentrated fish oil supplements to increase fatty acid intake, but omega-3 works together with omega-6 and omega-9 so if you increase your intake of one and not the other two, your body many not be able to use the extra oils you’re consuming anyway. The best option then is to buy a mixture of the three omegas in capsule form. The ingredients don’t necessarily have to come from fish oil but can be from a mixture of other fatty acids such as flaxseed oil and walnuts, although little research has been done into fish-free oils. As well as taking capsules for treatment, as a preventative measure I recommend increasing the number of walnuts you eat and adding ground flaxseeds to your diet. It’s also worth noting here that increasing omega fatty acid intake can helpful if you have inflammatory arthritis, but not for treating gout. Since vitamin D deficiency is linked to arthritis, and slight vitamin D deficiency is quite common, especially in winter, it’s worth adding more to your diet, or taking a general multivitamin to make sure you’re getting the minimum amount that your body needs. Selenium is an essential mineral and micronutrient and selenium deficiency may make arthritis worse. Unless you have had blood tests done and know that you have a deficiency, I don’t recommend taking selenium in supplement form as minerals need to work together to work properly, so taking a high dose of a single mineral that you are not deficient in is a waste of money and resources. Instead, try adding natural sources of selenium to your diet, as it is found in many foods and is highest in Brazil nuts. As long as you’re not a nut allergy sufferer already, only good can come of increasing your general nut intake, as it will help you to ensure that you’re getting other trace vitamins and minerals as well. So tuck in!